LondonViking wrote: I have read the forum for a while now and thought it would be time to actually join up. Welcome Sean. I hope you enjoy posting on this board. I think you will find that this community is very passionate and one of the best (if not the best) internet message boards dedicated to an NFL team. Mundzo wrote: Hey guys, newbie hanging around. Dang son, I lived in Melbourne and then moved to Hobart prior to moving to Florida. Really miss Australia. 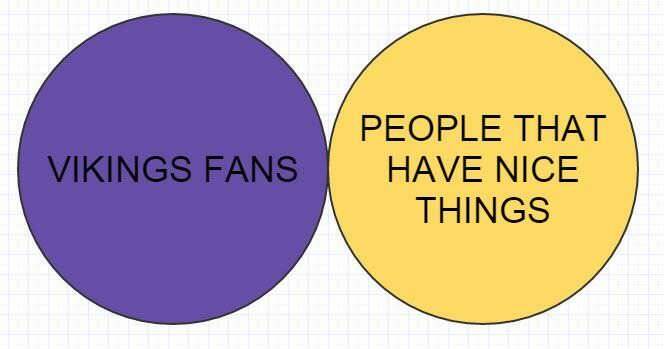 Till 2006 I wasn't able to watch or read anything about the Vikings but the results. Since then I've watched every single game. I have visited vikingsmessageboard enjoyed reading and change now to an active member. I used to be an active player and played last in 2010. ...your username is disconcerting and it makes me wonder how you spend your time on the Internets. I'm going to assume you're a lumberjack by trade. Or a beaver. New guy here. Been poking around and made a couple posts already. I was wondering if any one here is also a member of the Yahoo Groups Vikings list? Transplant stuck in the middle of enemy territory! Hi to you all from the UK. First saw the Vikings on 20th. November 1983. A weekly sports TV show broadcast an NFL game and I watched Minnesota beat Pittsburgh 17-14. I've always played sports, through school and college, mainly soccer and rugby, but, from that moment I became a Vikings fan and, for over 30 years and from over 3000 miles away, have shared the good and bad times with you all (mainly bad), although coverage over here isn't great. With half an hour to game time, I just hope this year we can discard the "nearly men" tag and make San Francisco in February. Not the greatest of nights so far, with Carolina losing in Atlanta and Seattle beaten at home, but at least the Pack were well and truly whupped, just as I hope they will be next week. Let's make 2016 a Purple New Year. Yggdrasil wrote: Hi to you all from the UK. Welcome! Nice to hear your perspective! Lol, well whatever reason you need to join, welcome to the board!